4 Ft Big Teddy Bear. 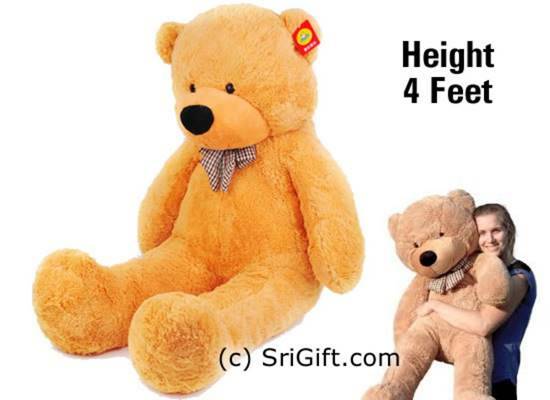 More than height 3.5 feet big teddy bear. Free Delivery anywhere in Sri Lanka. උස අඩි 3.5 ට වැඩි ලොකු ටෙඩි බෙයා. ශ්‍රී ලංකාවේ ඕනෑම ස්ථානයකට නොමිලේ ප්‍රවාහනය.